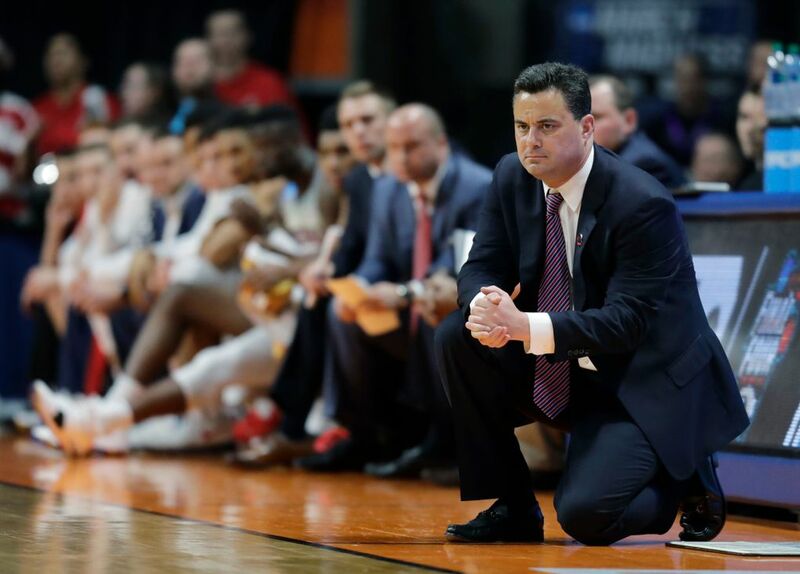 The 2018-19 season could be disastrous for defending Pac-12 champion Arizona, which appears to be in a free fall following a season filled with scandal and disappointment. Meanwhile, Washington figures to compete for a Pac-12 title if the Huskies bring everyone back. Larry Scott unveiled a series of recommendations last month to clean-up the corruption in college basketball, but the Pac-12 Commissioner would also be wise to look into ways to rescue Pac-12 men’s basketball after a disastrous season in which the conference suffered league-wide setbacks. Arizona and USC – the Pac-12 preseason favorites – were implicated at the start of the season in a FBI probe investigating alleged recruiting violations and the conference never really got on track. Despite Arizona State starting 12-0 and the Sun Devils and Washington posting impressive road wins over then-No. 2 Kansas, Pac-12 teams were 6-9 against ranked teams and won fewer than 70 percent of its nonconference games (104-45). It was the lowest winning percentage since the 2011-12 season when the league sent just two teams to the NCAA tournament. Sure enough the bad start led to a disappointing finish in which just three teams (Arizona, Arizona State and UCLA) participated in the Big Dance. And no one advanced beyond the first round. The conference failed to reach the round of 32 in the NCAA Tournament for the first time since 1986. Arizona’s DeAndre Ayton is projected to be the No. 1 overall NBA draft pick following Washington’s Markelle Fultz who was the first player taken last year. But if the mock drafts are accurate, then the Pac-12 will produce just three first-round NBA draft picks – the fewest since 2013. Making matters worse, the much-maligned Pac-12 TV deal that’s come under fire with football fans also drew scrutiny when the Pac-12 Tournament title game between Arizona and USC attracted fewer viewers on FSI than the other power conference title games and three mid-major title games. Given all of that, the 2018-19 men’s basketball season can’t get here fast enough for the beleaguered Pac-12 and Scott, whose contract expires after 2021-22. Barring an offseason shakeup, the league will retain all 12 coaches for the first time since the 2011-12 season. However, more than half of the Pac-12 coaches are in relatively unstable situations including Arizona’s Sean Miller, USC’s Andy Enfield, Washington State’s Ernie Kent, UCLA’s Steve Alford, Oregon State’s Wayne Tinkle, Colorado’s Tad Boyle and California’s Wyking Jones. It’s way too early, but here’s a look at the 2018-19 Pac-12 season. Departing starters (3): G Elijah Brown (13.6), F MiKyle McIntosh (11.8) and G Troy Brown (11.3). Returning starters (2): G Payton Pritchard (14.5) and F Paul White (9.4). Other notable returners: F Kenny Wooten (6.4), G Victor Bailey Jr. (6.7), F Roman Sorkin (2.9) and F Abu Kigab (1.6). The skinny: Oregon had its five-year streak of NCAA tournament appearances snapped and took a step back after losing four starters from a team that reached the Final Four in 2017. 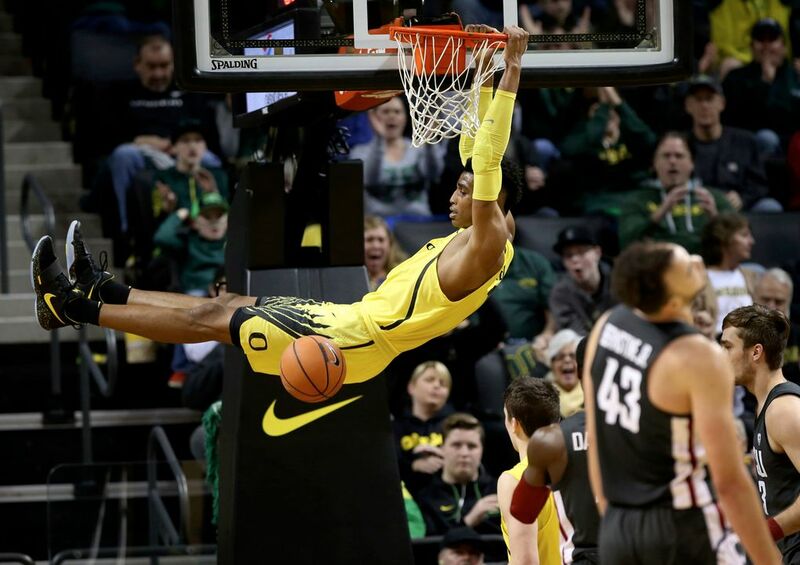 Dana Altman has had great success with transfers during his eight-year tenure with the Ducks, but he’s assembled his best recruiting class that ranks among the top 3 in the nation and includes three top 100 prospects. The best of the bunch is 7-1 freshman center Bol Bol who is projected to be a top-12 pick in the 2019 NBA draft and . 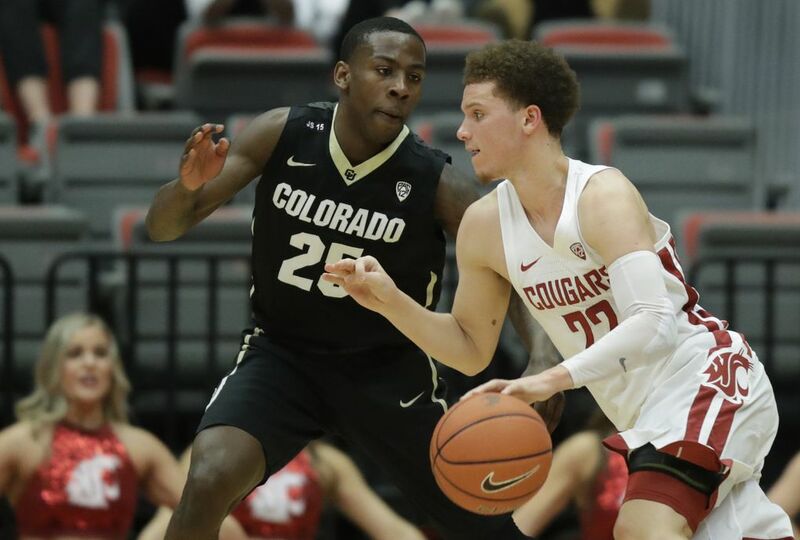 Wooten, who led Pac-12 with 92 blocks, decided to forgo the draft while Troy Brown decided to turn pro and backup guard Keith Smith, who averaged 1.9 points and 1.4 rebounds, announced he’s transferring. Not entirely convinced Pritchard, who led Oregon in field goal attempts and assists, is the best option at point guard. But he’s developing into a star while White has shown flashes of brilliance, including a 19-point performance in a 101-92 double overtime loss to Marquette in the NIT second round. Plus, the pairing of Wooten and Bol in the front court allows Altman to play the defensive brand of basketball that characterized his Final Four team. Projected 2018-19 Pac-12 finish: 1. Departing starters (3): G Aaron Holiday (20.3), C Thomas Welsh (12.6 points per game) and F Gyorgy Goloman (7.1). On the fence (1): G Kris Wilkes (13.7) and G Jaylen Hands (9.9). Returning starters (1): G Prince Ali (9.1). Other notable returners: F Alex Olesinski (4.5) and G Chris Smith (3.9). 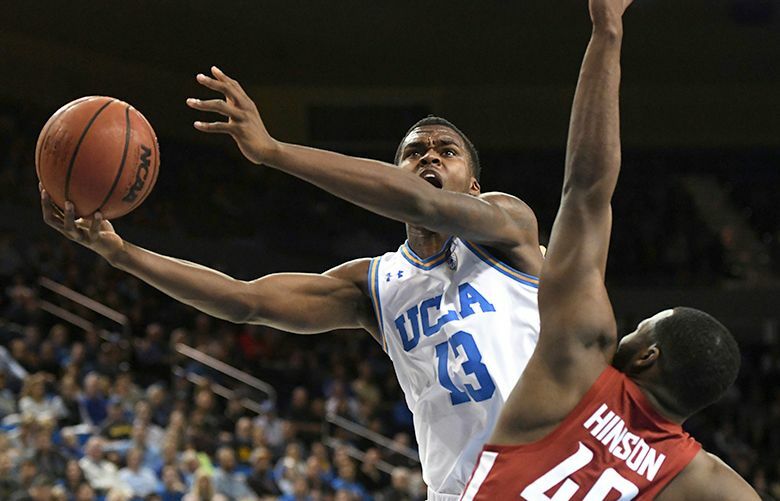 The skinny: If Wilkes and Hands (they’re testing the NBA draft waters without an agent) return and disgruntled Bruins fans don’t run Steve Alford out of town, then they’ll likely be rewarded with a talent-rich team that should challenge for the Pac-12 title. Of course all of this is contingent on Alford being able to quickly transform an incoming recruiting class that ranks among the top three nationally into productive performers. The class headliners include five-star center Moses Brown, 4-star forward Shareef O’Neal, the son of Hall of Famer Shaquille O’Neal, and 4-star wing Jules Bernard should be immediate contributors. 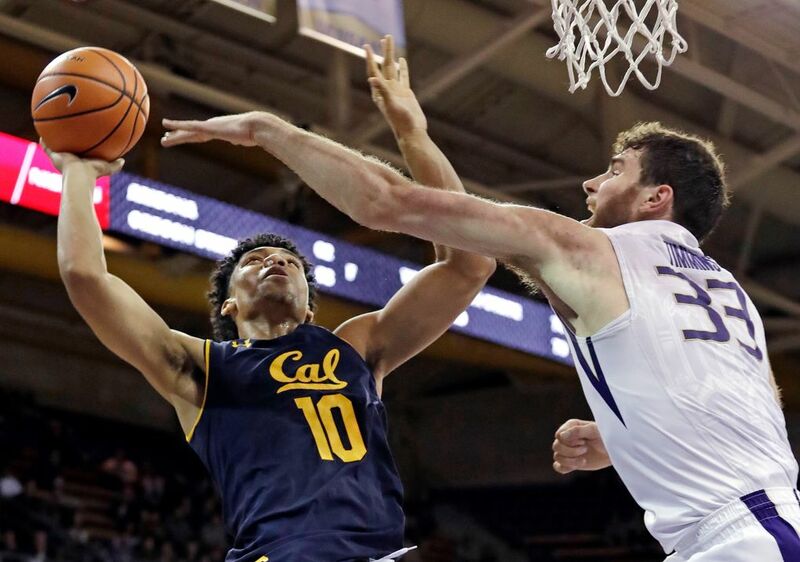 Wilkes, who is projected to be a NBA lottery pick in 2019, Ali and Hands give Alford enough firepower to beat anyone in the Pac-12. Still, the Bruins would have been the clear-cut conference title favorite if Holiday returned for his senior season. Alford has failed to win at least 21 games just once during his five-year tenure at UCLA. However, the Bruins haven’t advanced beyond the Sweet 16 during his tenure which is a point of contention among UCLA fans. Projected 2018-19 Pac-12 finish: 2. Departing starters (2): G Dorian Pickens (15.1) and F Michael Humphrey (10.0). On the fence (1): F Reid Travis (19.4). Returning starters (2): G Daejon Davis (10.7) and F KZ Okpala (10.0). Other notable returners: F Oscar da Silva (6.2), G Isaac White (5.5) and C Josh Sharma (3.5). The skinny: Stanford made a five-win improvement under second-year coach Jerod Haase and a similar jump next season likely secures the Cardinal’s first NCAA tournament appearance since 2014. However, the 2018-19 season hinges on Travis, who leads Stanford in scoring and rebounding (8.7). The two-time All-Pac-12 forward declared for the NBA draft without hiring an agent, which allows him to return for his senior season. Travis, who ranked third in the Pac-12 in points and rebounds (8.7), would be a Pac-12 MVP candidate on a team that brings back three starters and seven of its top nine scorers. The Cardinal has viable candidates to replace Pickens and Humphrey. Da Silva and Okpala have shown flashes and incoming freshman guard Cormac Ryan is a four-star recruit who is considered a long-range marksman. 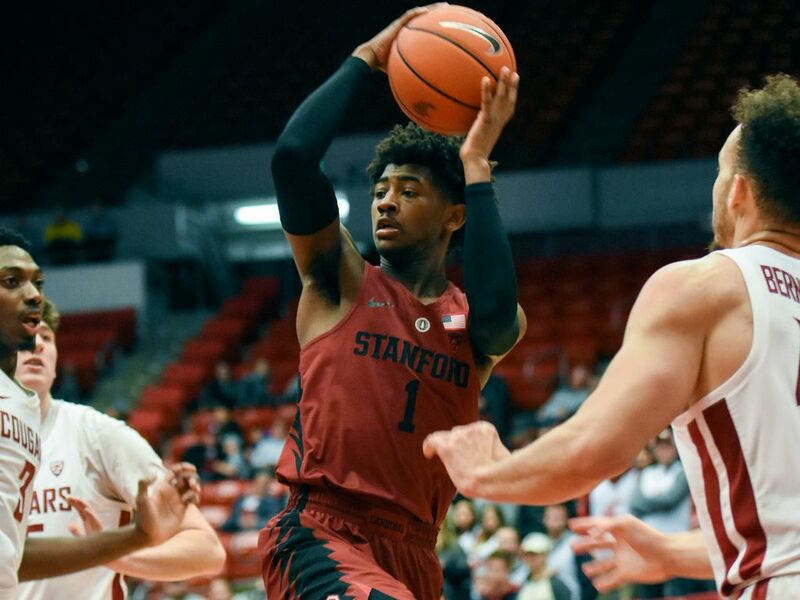 Stanford also lost via transfer junior backup guard Robert Cartwright who averaged 4.7 points, 2.3 assists last season in 27 games, including six starts. On the fence (1): F Noah Dickerson (15.5). Returning starters (4): G Jaylen Nowell (16.0), G David Crisp (11.6), G Matisse Thybulle (11.2) and F Sam Timmins (4.3). Other notable returners: G Dominic Green (5.4), G Nahziah Carter (5.1), Hameir Wright (2.6) and Michael Carter III (1.3). 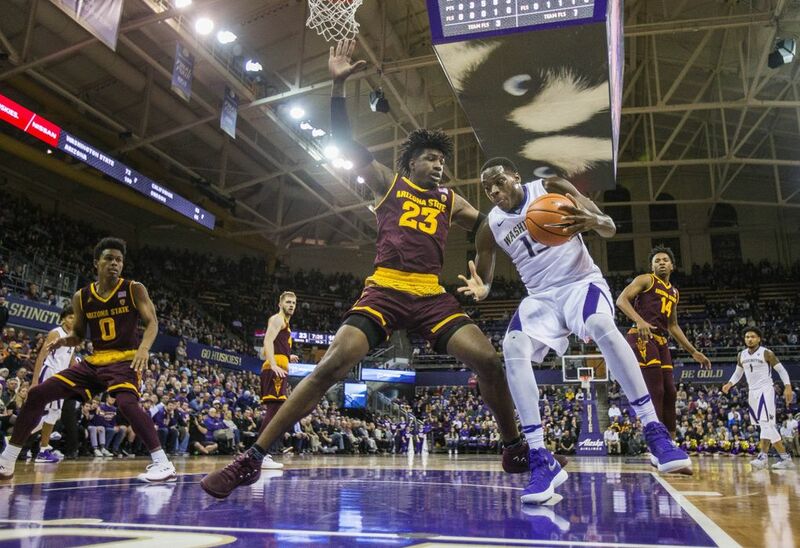 The skinny: Assuming Dickerson comes back (he’s testing the NBA draft waters without an agent), no other Pac-12 team is slated to return as many players as Washington. The Huskies’ top nine scorers have eligibility remaining. The only certain departure to date is backup guard Carlos Johnson, who plans to transfer. Nowell and Thybulle have NBA potential and aspirations and it remains to be seen if they’ll examine their pro prospects this year. 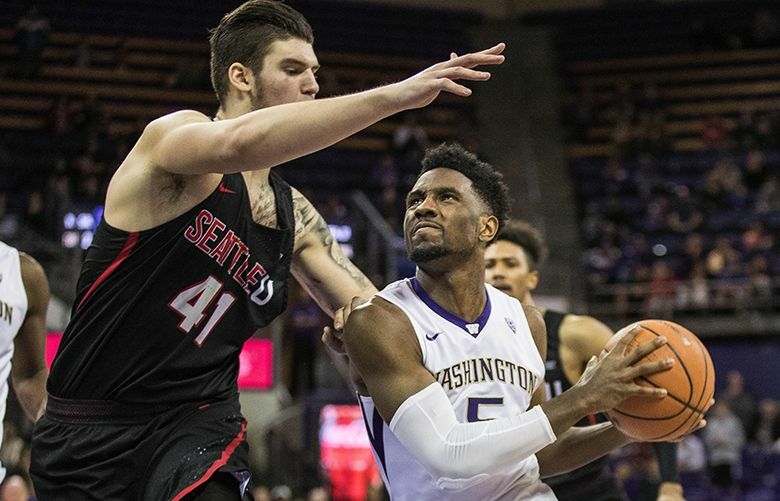 If UW brings everyone back, then it would be close to a miracle in today’s college basketball world where roster upheaval is yearly occurrence due to transfers and players opting to turn pro early. 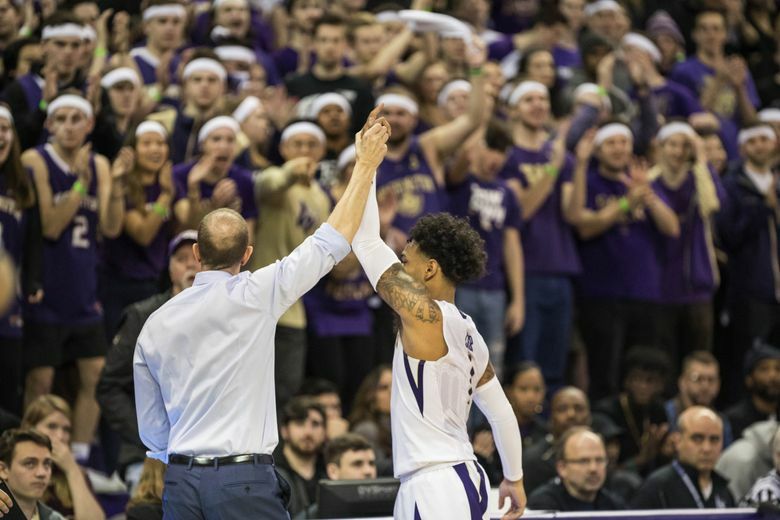 Washington could have four seniors (Dickerson, Crisp, Thybulle and Green) among its top five scorers, which is invaluable experience in college hoops. Dickerson and Crisp have scored more than 1,000 points while has 915 points. Of course, The undersized Huskies may have addressed their lack of depth in the front court with the addition of top-100 recruit Bryan Penn-Johnson, a 7-foot center. Departing starters (4): G Justin Bibbins (14.8), C David Collette (12.3), F Tyler Rawson (10.9) and G/F Gabe Bealer (5.9). Returning starters (1): G Sedrick Barefield (12.0). Other notable returners: F Donnie Tillman (7.8), F Jayce Johnson (5.5), G Parker Van Dyke (4.0), F Chris Seeley (2.7) and F Kolbe Caldwell (2.2). The skinny: The Utes extended their season longer than any other Pac-12 team and advanced to the NIT national championship game where they lost 82-66 to Penn State. It’s the second straight year Utah has finished in the NIT. The Utes lose 60 percent of its scoring. 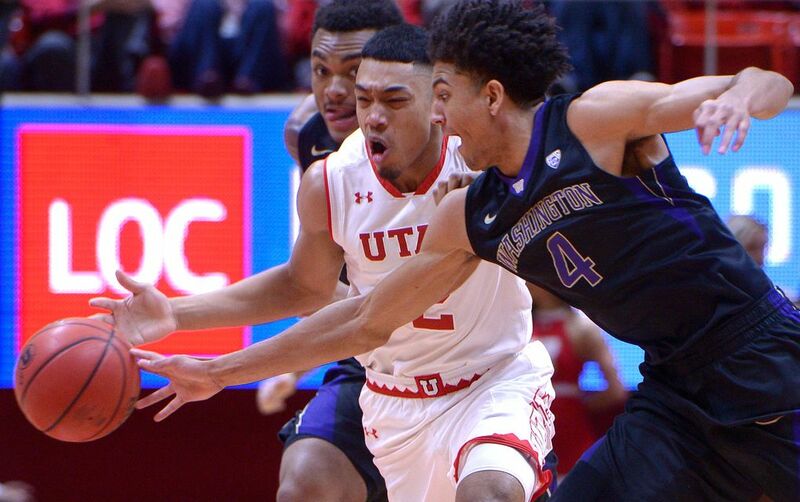 Barefield made the most of Utah’s run to the NIT title game while averaging 16 points – 4 higher than his season average – in five games. He led the Utes with 22 points on 8-for-11 shooting during an 82-66 loss to Penn State in the championship game at Madison Square Garden. Since winning 21 games in his first two seasons at Utah, Coach Larry Krystkowiak has won no fewer than 20 games in each of the past five seasons. He needed to win four NIT games this season to continue the streak and he’ll be hard pressed to keep it going next season because the Utes will be so young. Van Dyke (12 starts last season), Tillman (4) and Johnson (1) will likely assume more responsibility next season. Utah also receives a boost from four-star recruit Devante Doutrive, a 6-5 redshirt freshman shooting guard who sat out last season. The Utes also bring in a five-man 2018 recruiting class ranked among the top 40 in the nation that’s led by four-star recruit Timmy Allen, a 6-5 shooting guard. Krystkowiak loses four starters, but he found a way to finish in a three-way tie in the Pac-12 this season with team that lost four of its top six scorers from the 2016-17 season, including first-round NBA draft pick Kyle Kuzma. Departing starters (3): F Chimezie Metu (15.7), G Jordan McLaughlin (12.8) and Elijah Stewart (11.7). On the fence (2): F Bennie Boatwright (13.6) and G Shaqquan Aaron (4.3). Returning starters (2): G Jonah Mathews (9.3) and F Nick Rakocevic (8.1). Other notable returners: G Jordan Usher (4.8) and Derryck Thornton (3.8). The skinny: Disappointing finish in the second-round of the NIT for a season that started with so much promise. Stacked with a roster full of returners, USC was ranked No. 10 in the Associated Press preseason poll. However, the Trojans were hit hard by the FBI scandal investigating college basketball corruption. 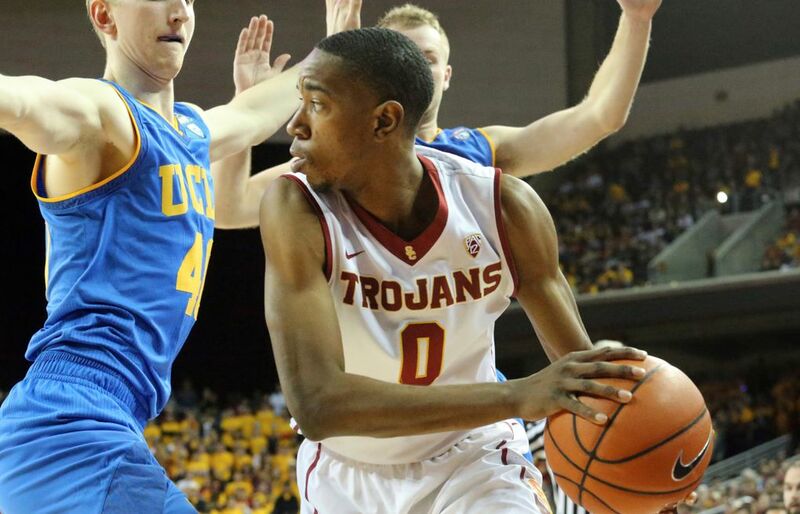 Sophomore guard De’Anthony Melton, who was linked to the probe and held out for the season, is turning pro. Boatwright, USC’s second-leading scorer, missed the final month due to a knee injury. Fifth-year coach Andy Enfield took a small step back after incremental gains in each of his first four seasons. If he can convince Boatright to return for his senior year, then USC should have enough talent to win 20-plus games next season. The Trojans bring in a top-15 recruiting class that includes Rainier Beach High star Kevin Porter and Garfield High standout J’Raan Brooks. Departing starters (1): G George King (12.9). Returning starters (4): G McKinley Wright IV (14.2), G Namon Wright (9.7), G/F Tyler Bey (6.1) and C Dallas Walton (5.7). Other notable returners: F Lucas Siewert (6.8), G Deleon Brown (5.0), G/F D’Shawn Schwartz (3.4) and G Lazar Nikolic (2.3). The skinny: In addition to King, Colorado loses G Dominique Collier (7.5) and F Tory Miller-Stewart (6.2), a pair of seniors who combined for 16 starts. However, the Buffaloes are loaded with eight returners who started at least one game and averaged no fewer than 13.6 minutes. Wright IV has the potential to be a star while Walton (7-foot), Siewert (6-10) and Bey (6-7) gives CU size on the front court while. Coach Tad Boyle will need to develop more scoring options considering the Buffs ranked 11th in the Pac-12 in scoring (67.8) in league games. Boyle signed the No. 2 prospect in Colorado (G Daylen Kountz), but CU’s incoming freshmen will be hard pressed to find minutes next season. A newcomer to keep an eye on is 6-8 freshman forward Evan Battey, a former 4-star recruit, who redshirted this season after being ruled academically ineligible by the NCAA. He needs to be cleared after reportedly suffering a medical emergency during the holiday break. Boyle took Colorado to the NCAA tournament in three of the his first four years, but in the past four years the Buffs have made just one trip to the Big Dance. Departing starters (3): G Tra Holder (18.2), G Shannon Evans II (16.5) and G Kodi Justice (12.7). Returning starters (2): F Romello White (10.5) and F Vitaliy Shibel (1.8). Other notable returners: G Remy Martin (9.6), F De’Quon Lake (7.2), F Mikey Mitchell (5.8) and F Kimani Lawrence (3.1). The skinny: Arizona State, which secured upset wins over Xavier and Kansas, was the nation’s last undefeated team at 12-0 and climbed to No. 3 in the AP poll before finishing 8-12. The Sun Devils were 1-5 in its final six games, including a 60-56 defeat in the First Four. Despite the disappointing end, ASU made its first NCAA tournament appearance since 2014 and handed third-year coach Bobby Hurley a hefty one-year extension that raises his annual salary to $2.1 million on a deal that expires in 2023. Hurley will need to figure how to replace ASU’s top three scorers. Guard Rob Edwards and forward Zylan Cheatham, a pair of transfers who sat out this season due to NCAA rules, were prominent scorers at Cleveland State and San Diego State, respectively and should provide immediate help. The Sun Devils also have a top-25 recruiting class that includes top-30 forward Taeshon Cherry. Departing starters (1): F Seth Berger (3.0). On the fence (1): F Drew Eubanks (13.2). Returning starters (3): F Tres Tinkle (17.6), G Stephen Thompson Jr. (15.8) and G Ethan Thompson (9.9). Other notable returners: F Alfred Rollins (5.8), C Gligorije Rakocevic (2.7), G Kendal Manuel (2.6) and G Zach Reichle (1.7). 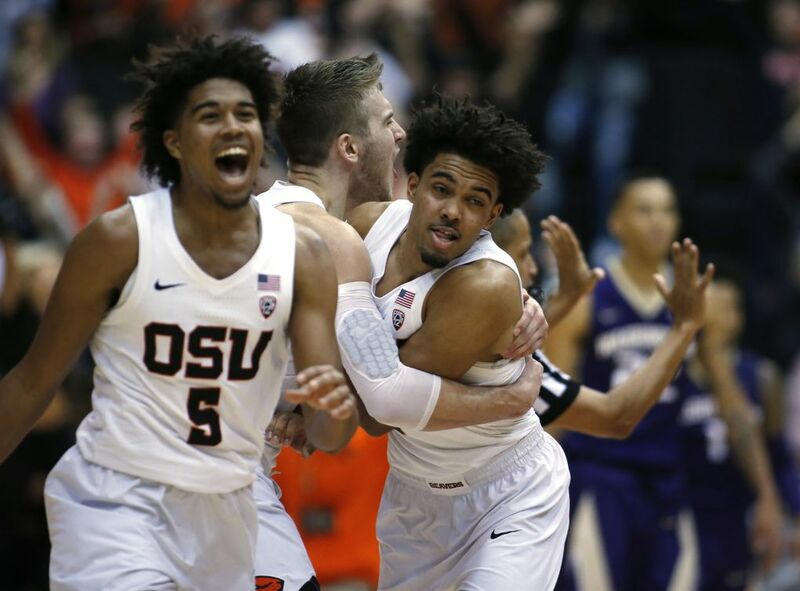 The skinny: If the Oregon State coaching staff can’t produce more sons who are top prospects, then the Beavers will need to recruit and develop players who aren’t related to coach Wayne Tinkle and assistant Stephen Thompson. OSU seemingly did a nice job in recruiting to address a size deficiency in the middle. The Beavers signed three prospects 6-11 or taller. Tres Tinkle, Stephen Thompson Jr. and Ethan Thompson shared the playmaking duties after sophomore point guard JaQuori McLaughlin left the team after six games. The trio was relatively efficient running the offense, but but Oregon State desperately needs a true point guard and should seriously consider finding a junior-college transfer to step into the role of floor general. Eubanks, tested the NBA draft waters last year before returning to school, and if he does it again it’s unlikely he returns. In 2016 Tinkle guided Oregon State to its first NCAA tournament appearance since 1990 so Beaver fans may overlook the team’s regression in the past two seasons while compiling a 21-43 record. Departing starters (2): G Don Coleman (14.2), F Marcus Lee (11.4) and C Kinglsey Okoroh (5.7). Returning starters (3): F Justice Sueing (13.8), G Darius McNeil (11.3), G Juhwan Harris-Dyson (6.2). Other notable returner: F Roman Davis (1.9). The skinny: First-year coach Wyking Jones is fortunate to return considering California set a school record for losses and went 1-17 in its final 18 games. The Golden Bears finished 219 in the RPI, which was the lowest for a major-conference team. They also ranked last in 12 of the 21 statistical categories measured by the Pac-12. Cal had seven freshmen and started three (Sueing, McNeil and Harris-Dyson). Losing Coleman, who reportedly is seeking to transfer to a SEC team, will hurt because he was able to create his own shot and carried the offense at times. However, Cal’s biggest problem is finding rim protection. Lee and Okoroh were tallest players and Cal’s tallest returner with significant experience is Sueing at 6-7. The freshman forward showed flashes of promise (Sueing tallied a career-high 27 points against Washington) while McNeil moved into a prominent role midway through the season. Still, the Golden Bears need a major infusion of talent to climb into the upper half of the Pac-12. Cal brings in two 4-star prospects at small forward in Matt Bradley and Jacobi Gordon. Departing starters (3): F Robert Franks (17.4), G Malachi Flynn (15.8) and F Drick Bernstine (6.9). Returning starters (2): G V’iont’e Daniels (9.0) and G Carter Skaggs (8.2). Other notable returners: G Milan Acquaah (4.9), G Kwinton Hinson (3.9), F Arinze Chidom (3.8), F Jeff Pollard (3.6) and C Davante Cooper (1.4). The skinny: With a year of eligibility remaining, Franks is leaving early to go through the NBA draft process and plans to hire an agent if his pro prospects look promising. Meanwhile, Flynn is transferring. Their departures are horrendous for Washington State. And that’s not an overstatement. They were the most productive players this season. Franks led WSU in scoring, shot 40.5 percent on three-pointers, 85.4 percent at the free throw line and was the second leading rebounder (6.7). And Flynn, a sophomore, was first on the team in assists (4.3), second in scoring and tied for third in rebounding (3.4). Theoretically, Skaggs could slide into Frank’s role and the sophomore sharp-shooter showed promise while connecting on seven three-pointers against Seattle University and six 3-pointers versus Kansas State. But it will be difficult for WSU to replace Flynn. Aside from the 2016-17 UW Huskies, teams that finish 11th in the Pac-12 don’t usually get better losing their best players. And the forecast looks increasingly dim considering WSU secured just one recruit (Cleveland High star C.J. Elleby) during the early-signing period. 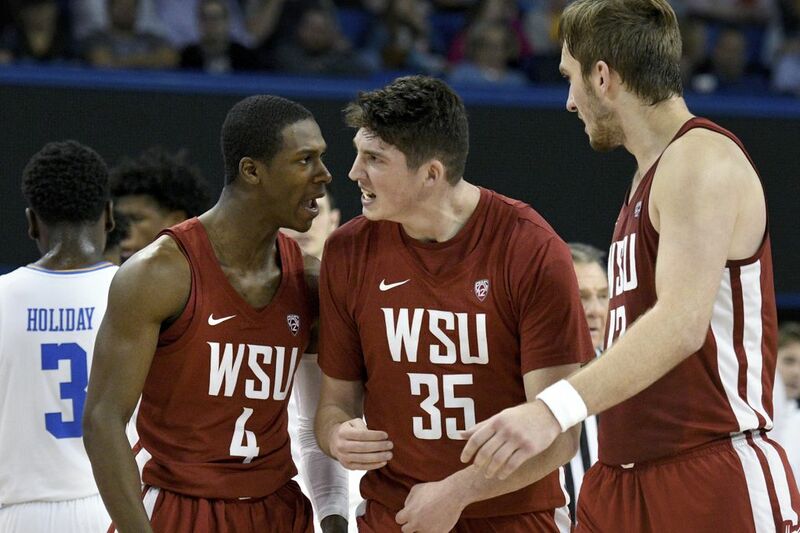 Another ominous sign is nine-year assistant Curtis Allen, WSU’s lead recruiter, left to take a similar position and joined Romar’s staff at Pepperdine. Coach Ernie Kent’s contract expires after the 2021-22 season. Departing starters (5): F Deandre Ayton (20.1), G Allonzo Trier (18.1), G Rawle Alkins (13.1), Dusan Ristic (12.2) and Parker Jackson-Cartwright (7.8). Notable returners: G Dylan Smith (4.3), G Brandon Randolph (3.7), G Alex Barcello (2.4), F Ira Lee (2.4)) and G Emmanuel Akot (1.8). The skinny: The season began and ended with controversy. Arizona got caught up in a FBI probe investigating college basketball corruption, which loomed like a dark cloud over the program all season. Trier missed two games due to a NCAA suspension for testing positive to performance-enhancing drugs. And coach Sean Miller was reportedly caught on a FBI wiretap arranging a $100,000 payment to a player. (Miller said the report is false.) No. 4 seed Arizona was unceremoniously bounced in the first round of the NCAA tournament following a deflating 89-68 loss to No. 13 Buffalo. This was supposed to be the year Miller finally advanced to the Final Four, but it was the third straight year the Wildcats have ended the season in the Big Dance against a double-digit seed. Miller, 49, is the Pac-12 highest paid coach who receives $4 million a year on a deal that expires after the 2020 season, but it’s uncertain if he survives the scandal surrounding the program. All five starters are leaving via graduation or early entry to the NBA while UA assistant Lorenzo Romar has left for Pepperdine. Worse yet, Arizona hasn’t signed a 2018 recruit and doesn’t have a commitment from a 2018 prospect. And here’s a look at where Pac-12 teams rank among several recruiting sites (national ranking in parenthesis). April 2: Underclassmen can request feedback from the NBA Undergraduate Advisory Committee. April 22: Early entry declaration deadline (11:59 p.m. ET). April 27: Combine invitations are sent to players. Typically, 70 players attend. May 16-20: NBA combine (Chicago). May 30: Withdrawal deadline to maintain NCAA eligibility. June 11: Early entry withdrawal deadline to maintain eligibility for future NBA drafts (5 p.m. ET).